The Arboretum conducts four major activities: education, research, outreach, and horticultural display. 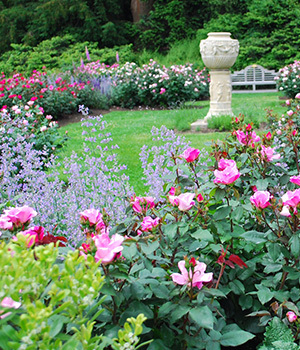 As the official Arboretum of the Commonwealth of Pennsylvania, the Morris Arboretum of the University of Pennsylvania provides research and outreach services to state agencies, community institutions and to citizens of Pennsylvania and beyond. The Morris Arboretum of the University of Pennsylvania is an important resource for extending an appreciation of the world's ecology, and an understanding of the importance of plants to people, in a biological, cultural, historical and aesthetic context.